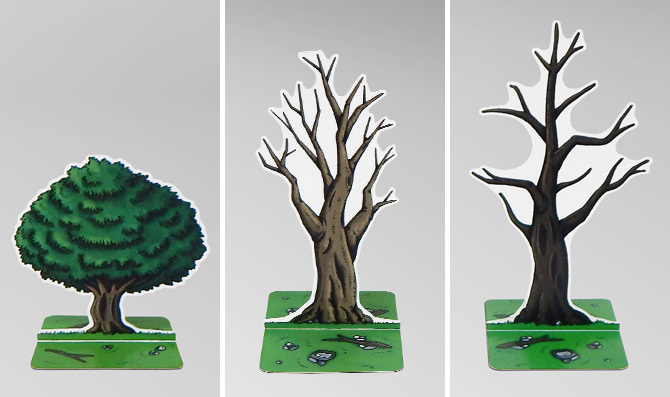 These tabletop role-playing accessories are designed to fit with 25mm, 28mm and 30mm gaming scales. 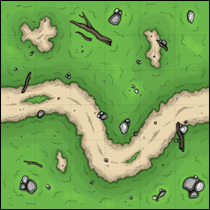 They have been created from the tilesets of Goblin Slayer: a traditional role-playing video game on which we are currently working. 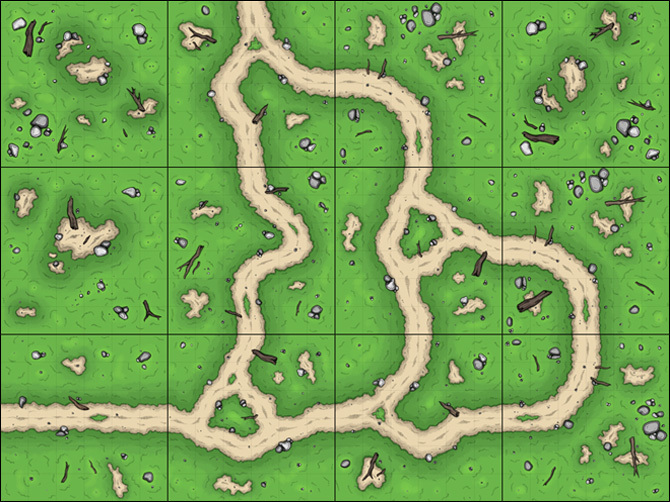 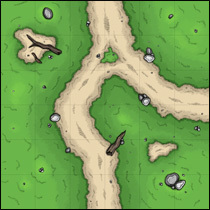 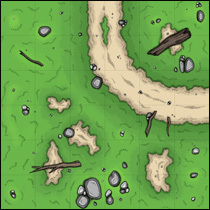 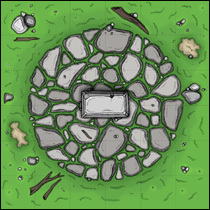 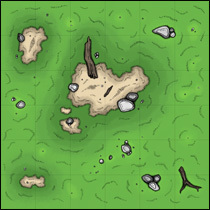 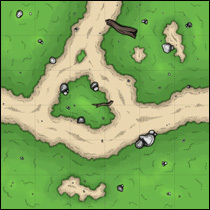 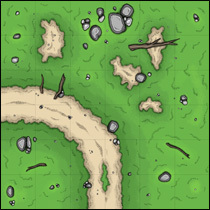 The Wilderness Tiles Set includes 8 different 6x6 inches tiles that will allow you to easily and quickly create wilderness maps for your favorite virtual or tabletop role-playing game. 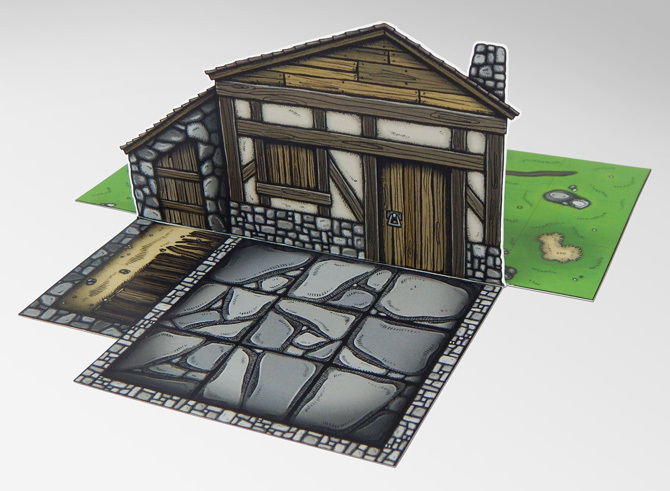 This rpg tiles set is available in digital or physical version. 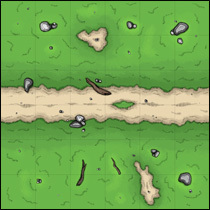 The digital copy includes 8 different tiles (see below) grouped in a 300dpi ready-to-print pdf. 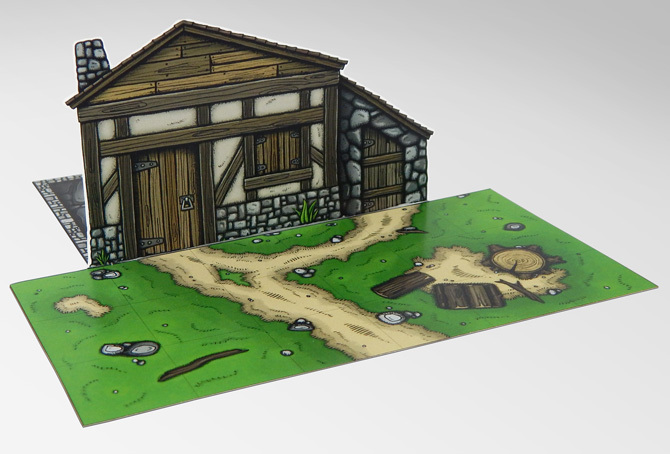 The physical copy of this tiles set includes 24 tiles printed on a high quality cardstock. 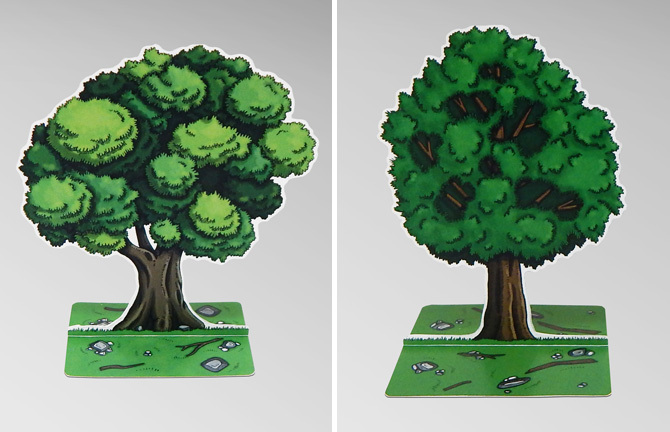 The Paper Trees Kit regroup a lot of paper model accessories for tabletop role-playing games and wargames. 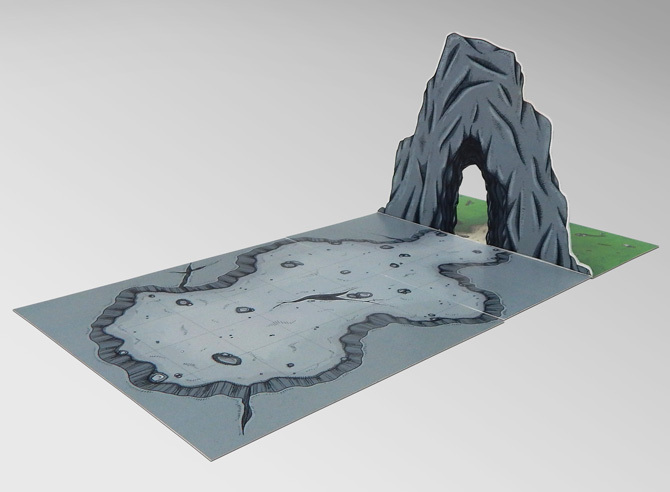 It is designed to fit with 25mm, 28mm and 30mm gaming scales. 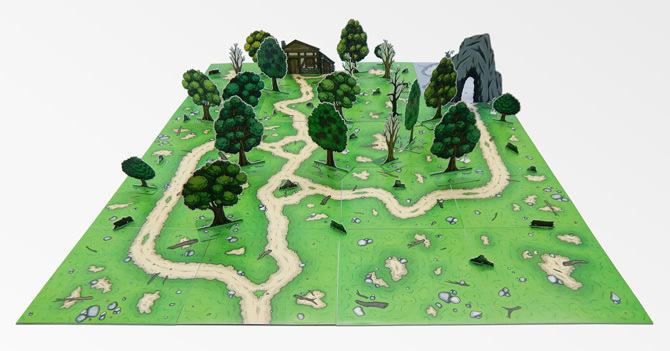 The physical copy of this RPG paper kit includes 24 trees and 20 small accessories (rocks, tree trunks, etc.) 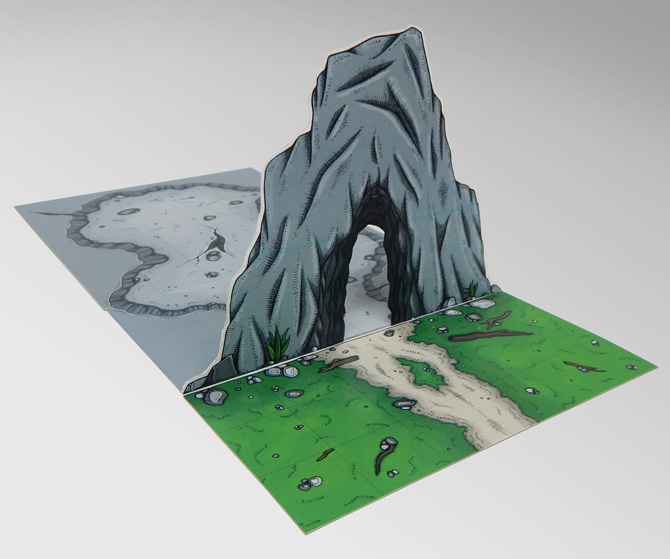 printed on a high quality cardstock. 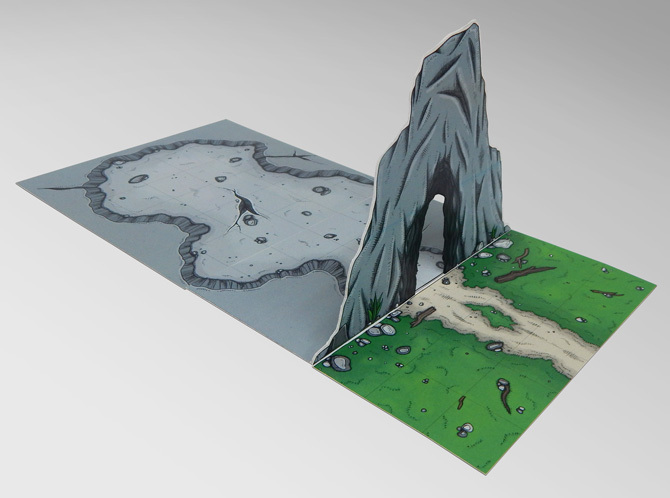 It is really easy to build, requiring only glue and exacto knife or scissors. 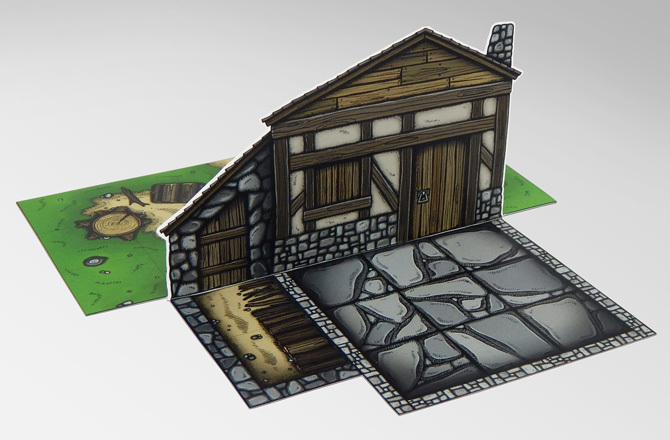 The Woodcutter's House is a paper model building for tabletop role-playing games and wargames. 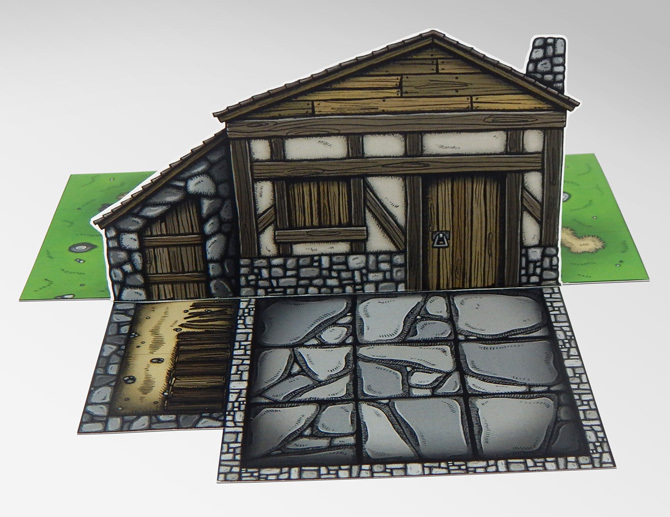 It is designed to fit with 25mm, 28mm and 30mm gaming scales. 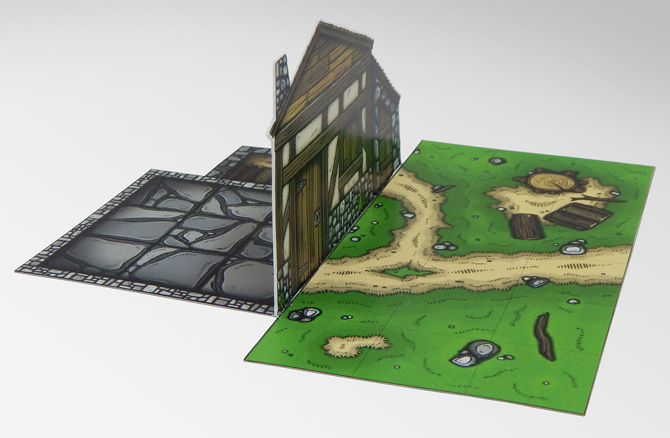 The physical copy of this RPG paper model is printed on a high quality cardstock. 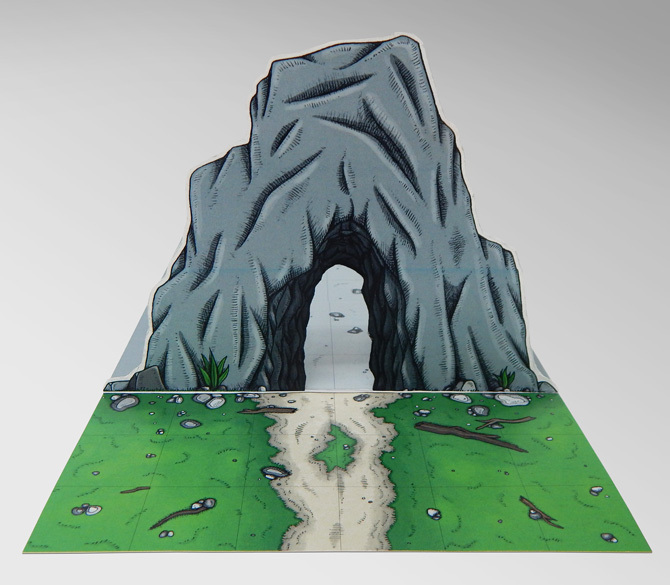 It is really easy to build (requiring only glue and exacto knife or scissors) and very convenient for storage because it folds easily. 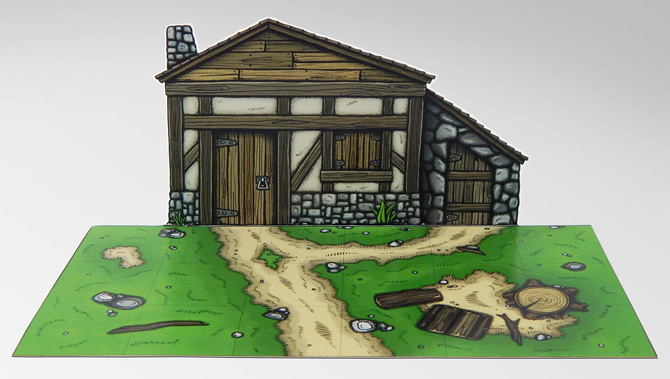 This paper miniatures set includes 1 Goblin Chief, 2 Cutthroat Goblins, 2 Goblin Archers and the assembly instructions. 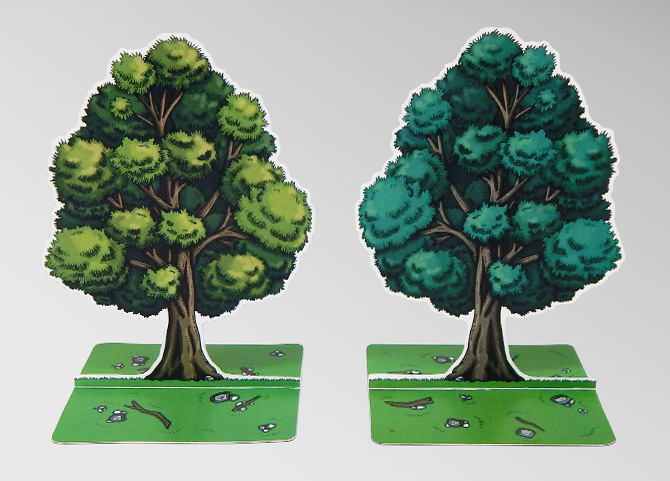 The paper miniatures are printed on a high quality cardstock. 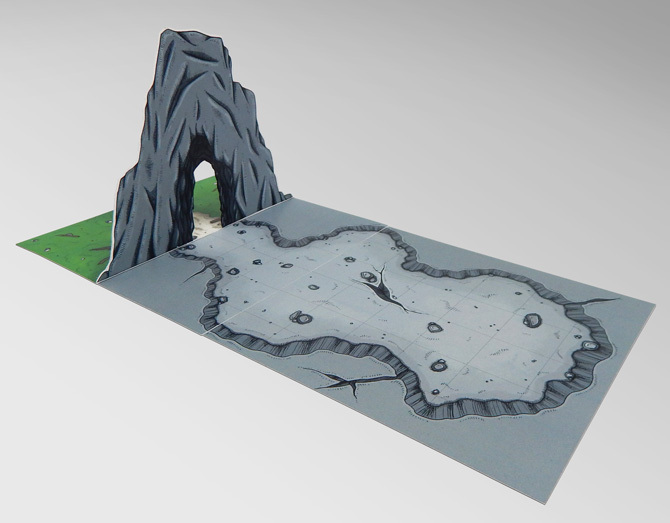 The Cavern is a paper model for tabletop role-playing games and wargames. 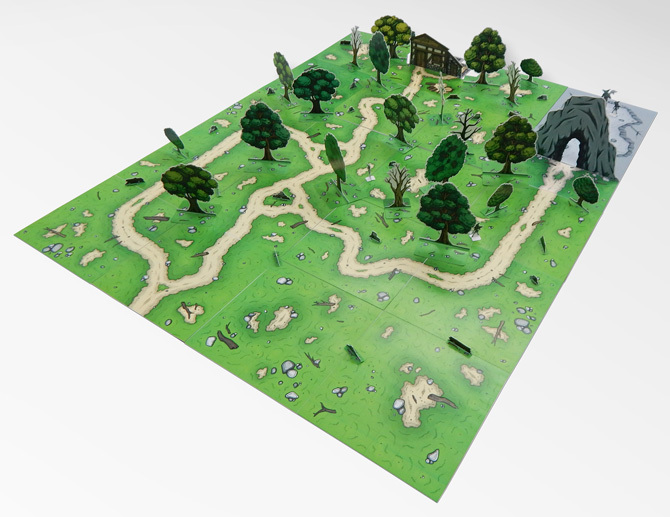 It is designed to fit with 25mm, 28mm and 30mm gaming scales. 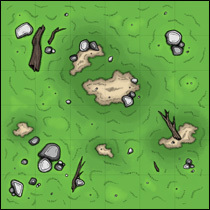 You will receive the digital copy of the Wilderness Tiles Set.